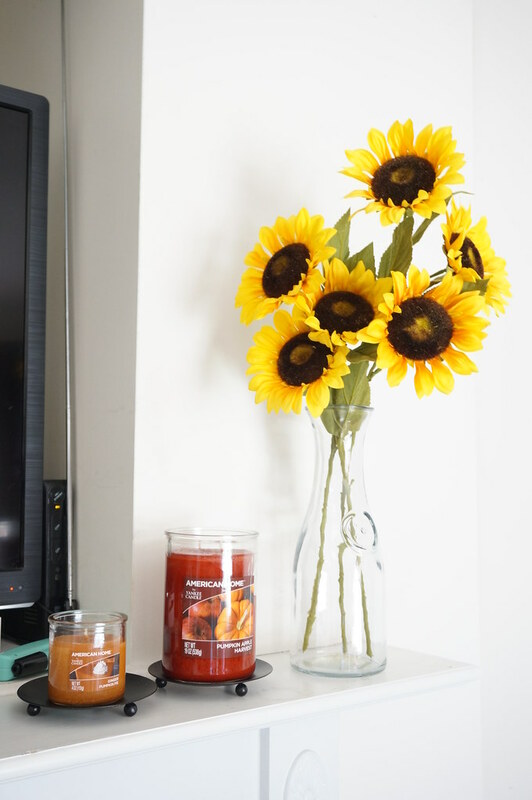 September is basically my favorite month, because this is when I start decorating for fall. Typically, I like to get start on September 1. My husband and I have three kids and we live in a small, modest house. 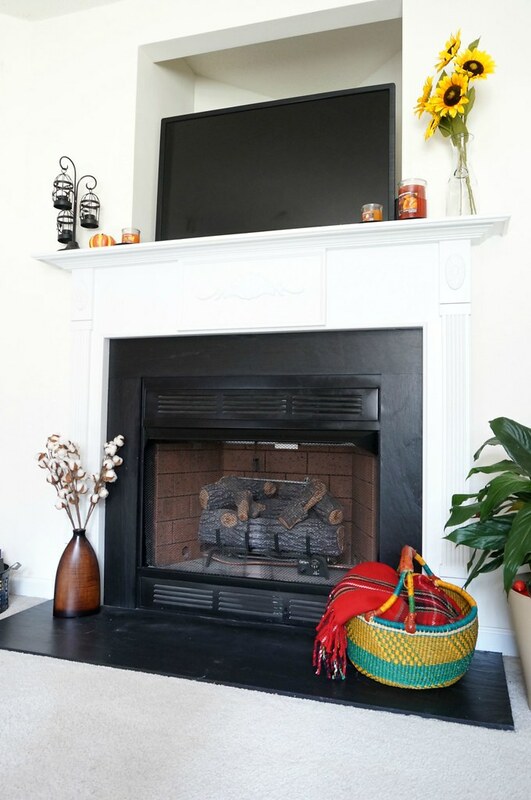 We also have a tv alcove over our fire place and, to be honest, it has been so hard to find inspiration to decorate a mantle like ours. Most pictures on Pinterest are mantles that have a wall above them. 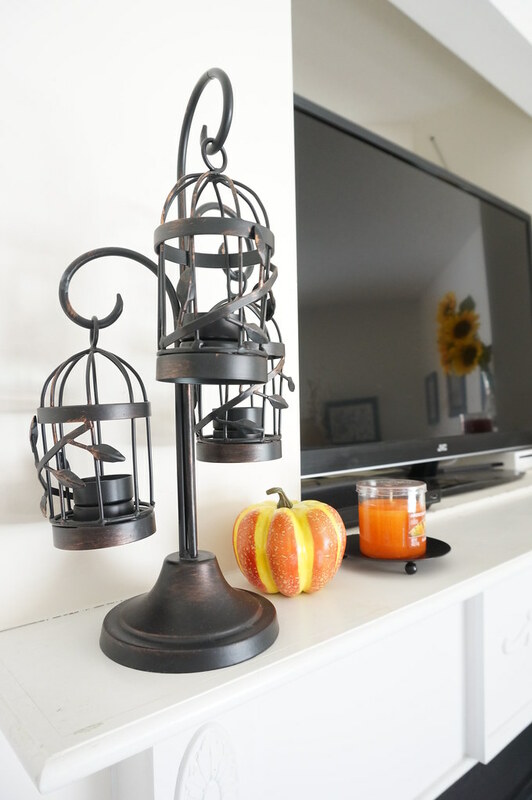 I’m happy to share how I have made over our mantle for this fall! I’ve come up with a formula of sorts over the years for what works in our home. I like to call them my trifecta of decorating the mantle: height, color, and candles. I keep the tall items on the sides, obviously to avoid obstructing the view of the tv. 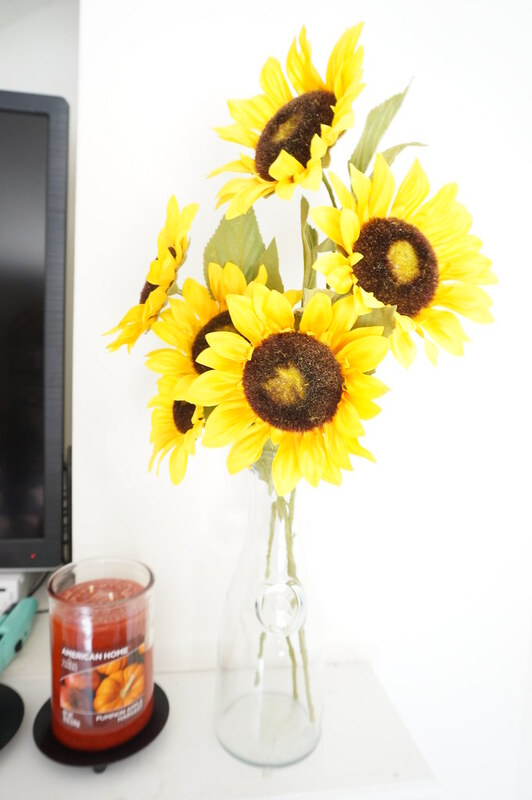 To bring in pops of color, I bring in bright flowers for the season. 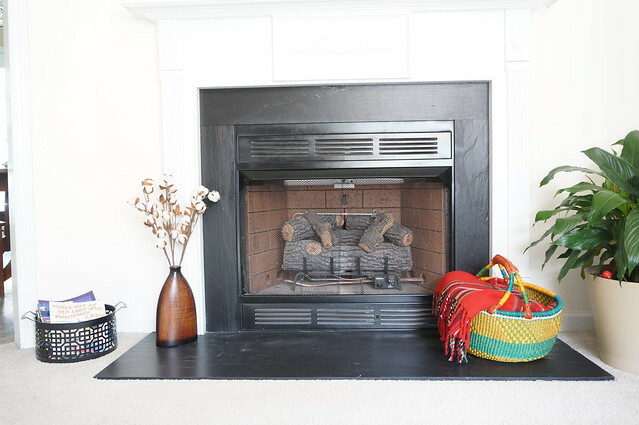 Our blanket basket is super colorful and stays on the hearth. To make our home smell warm and inviting, I always have a candle burning on the mantle. 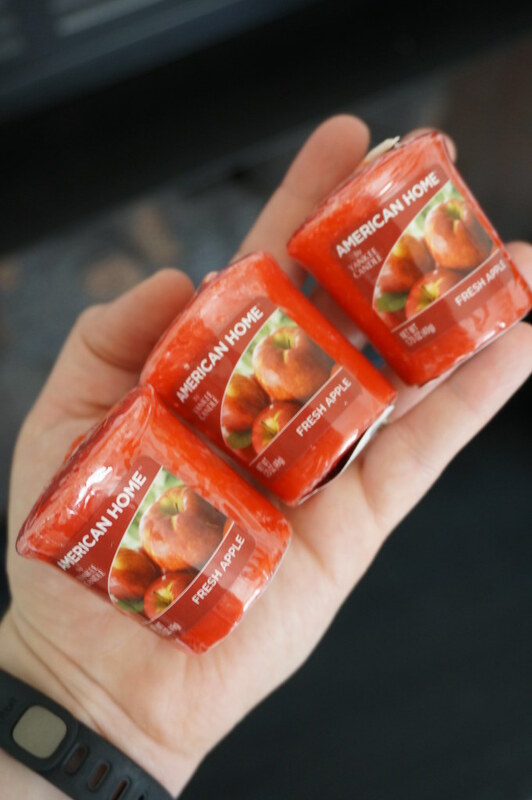 It adds extra color and, to be honest, I hoard the American Home™ by Yankee Candle® brand fall fragrances in our linen closet year round. 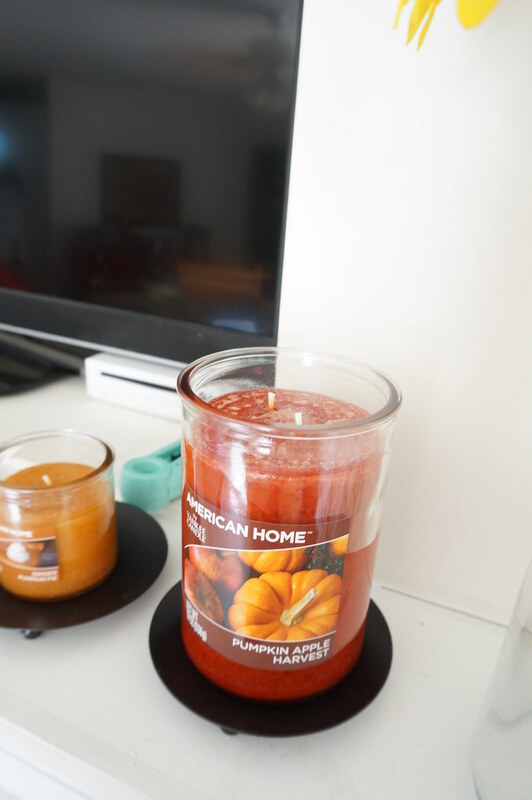 I am not ashamed to light a fall candle in the middle of summer! Come September, all bets are off and the candles come out. 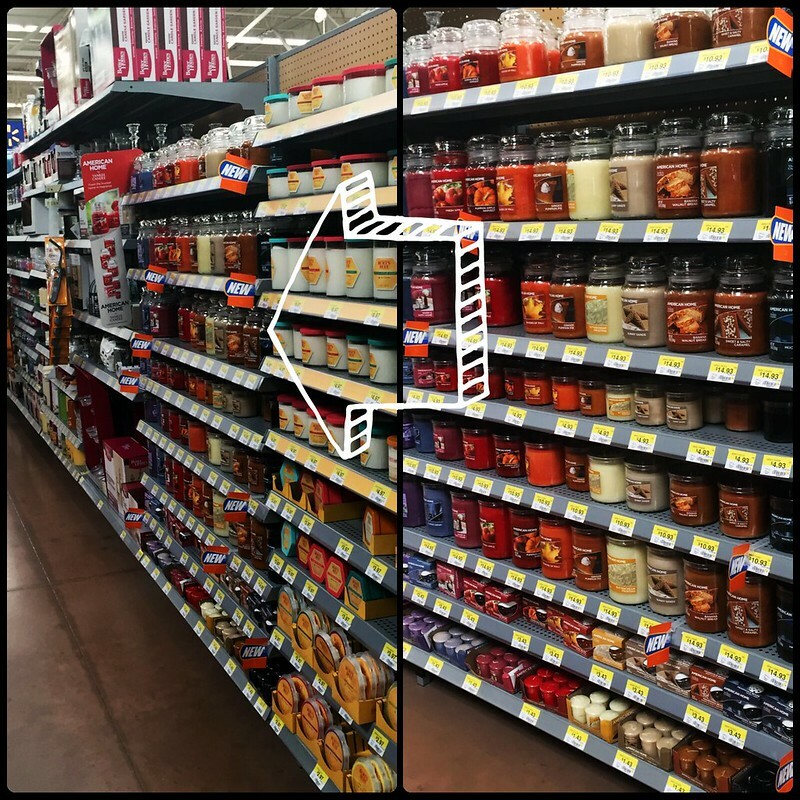 I stopped by Walmart to pick up some more candles, and I loved all the options available. They have such a good selection of fragrances for the fall! You can check out the Walmart assortment page here. I’m super happy with the prices I paid, too. My large tumbler was only $14.93, and the two small tumblers were $4.93! I also picked up some of the votives (at the bottom of the post) since they were such a good deal at $1.43. 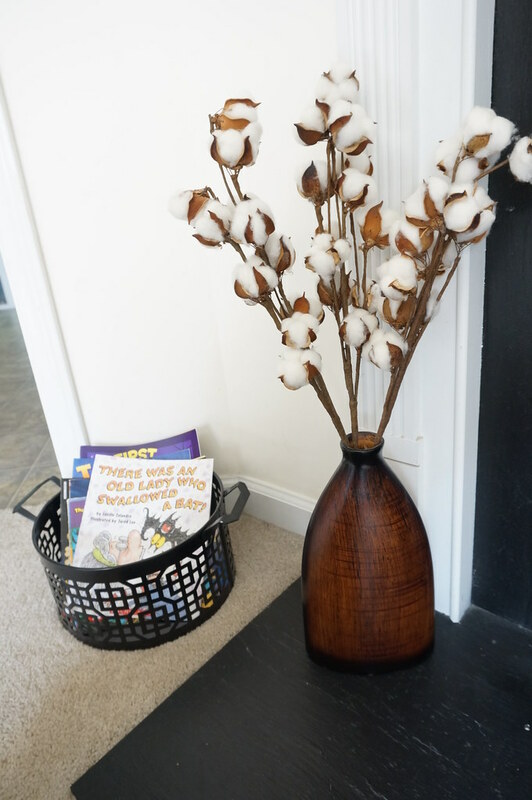 Since our living room is the main gathering area, I like to keep a bin of books for the kids. The books are rotated every season or holiday. I recently put out the Halloween and autumnal books, and I’ll purchase a couple new fall chapter books for the boys as well. 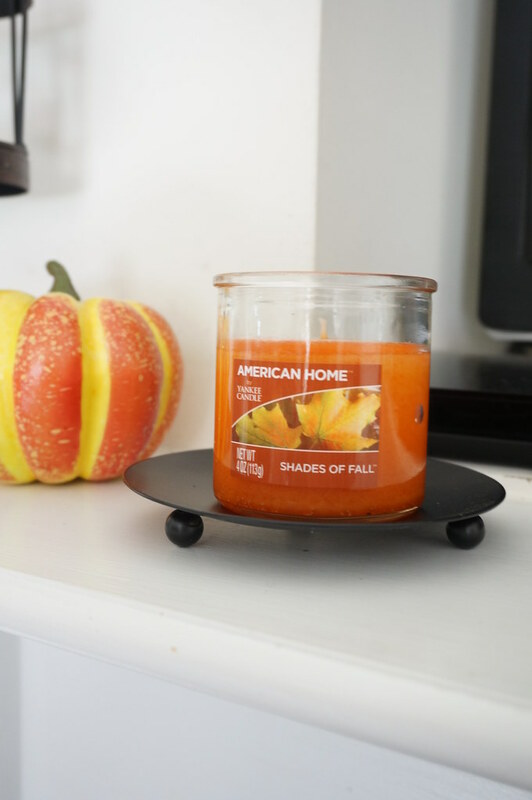 It wouldn’t be a fall mantle without a pumpkin! I have a few pumpkins throughout the house. I love the orange and yellow contrast of this one. The name of this candle couldn’t be closer to perfect. 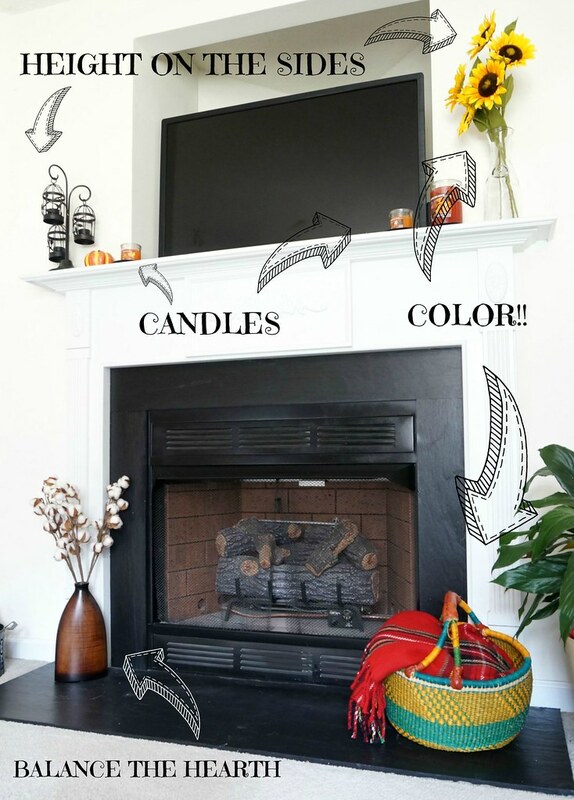 I like to incorporate a lot of different colors on the mantle, so the American Home™ by Yankee Candle® brand fit in perfectly. I chose a red/tan/orange theme for the candles this year. Since we have kids in our home, we are super careful with our candles. Everyone should be cautious, so it doesn’t hurt to have a few reminders! To ensure the flame on the candle doesn’t get large, trim your wicks to 1/8 in. Each time you burn your candle, allow the entire top layer to become a fragrant pool of liquid wax so you can maximize the fragrance. 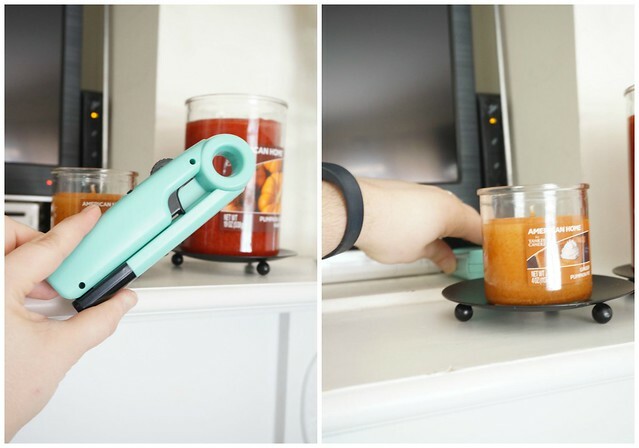 Always burn your candles on a heat-resistant surface. I have all of my candles on pedestals. Not only is it cute, but it’s also safer! When your candle is down to a 1/2 inch of wax it is, sadly, time to let it go. 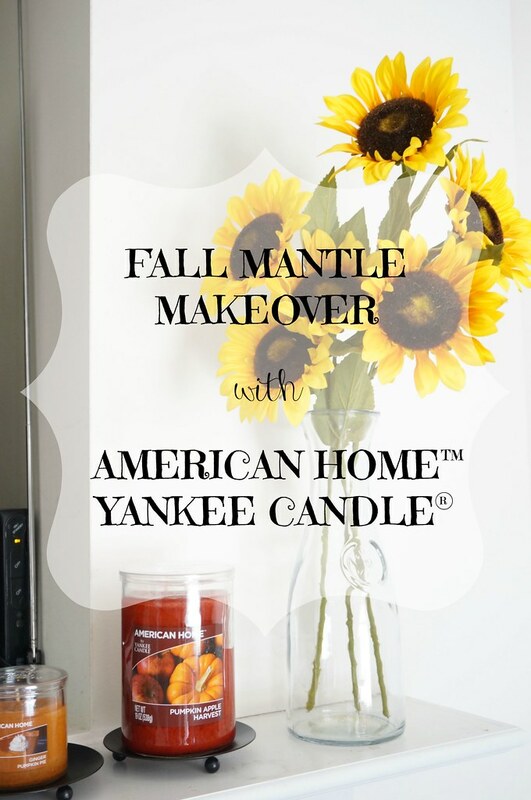 at Walmart, I’d love to hear how you get your home ready for the Fall!